While the space between the stars of the Milky Way Galaxy appears empty, it is actually filled with gas and dust which, together with stars, form a galactic ecosystem called the Interstellar Medium (ISM)—a dynamic landscape of vast, turbulent structures, radiation, nucleosynthesis, shockwaves, and stellar birth and death. The ISM is comprised mostly of gas, existing as ions, atoms or molecules. The gas is predominantly hydrogen, but there is also helium, both the products of primordial nucleosynthesis. The ISM also contains trace amounts of carbon, oxygen and nitrogen. 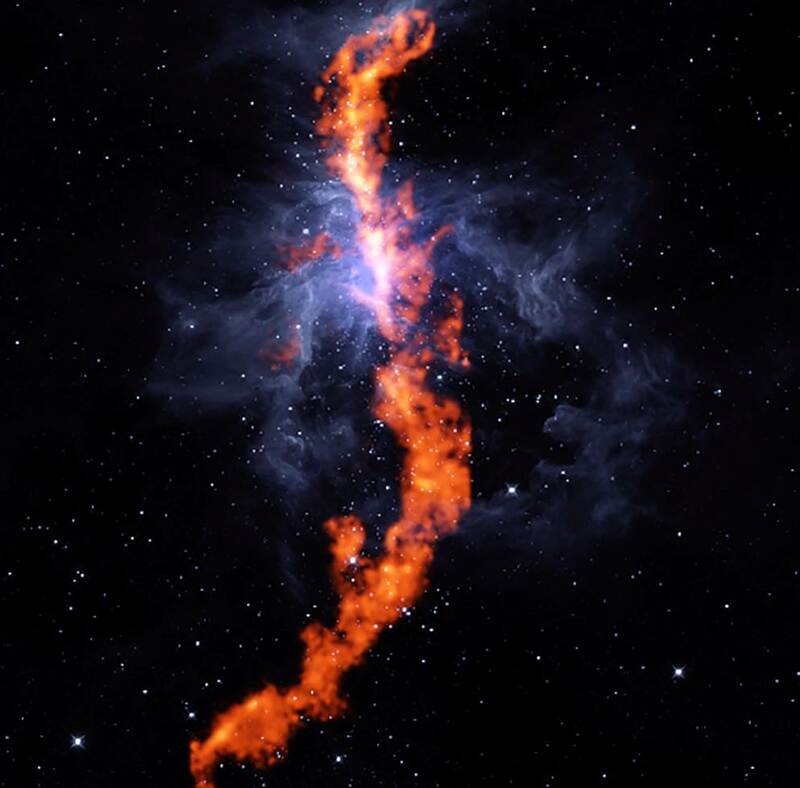 Ionized gas is heated to millions of degrees K, while cold molecular, star-forming gas sits at temperatures measured in tens of degrees K.
From this rich and dynamic medium come stars which form from dense concentrations of molecular clouds. Then, in a galactic circle of life, they replenish the ISM through the stellar wind they generate, and through supernovae and neutron star mergers that synthesize and disseminate heavier elements into the galaxy. The ISM is shaped by many forces: stellar radiation, stellar winds, as well as shockwaves from supernovae that can create “bubbles” in the ISM. Turbulence and magnetic fields also play roles in shaping this environment. As such, questions about the birth and death of stars are intricately linked to questions about the ISM. What’s more, a better understanding of the medium is critical in understanding extra-galactic phenomena, like the Cosmic Microwave Background, because we cannot observe them without peering through the filter of the ISM.